Last week we welcomed Winston to the farm. He is a five-year-old Show Cob, originally from Wexford, Ireland and at 15.3 hands high, quite a giant! 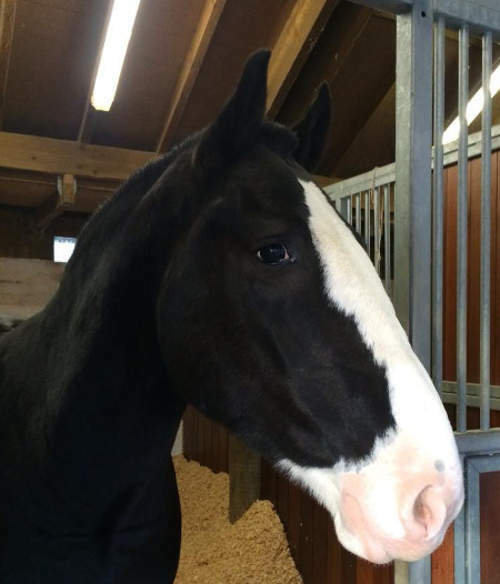 The black & white gelding was bought with funds donated by local individuals, companies and fundraising groups. The donations were given to replace our much-loved horse Bailey, who for many years had provided riding lessons for young & disabled riders. We would like to thank all those who donated enabling us to continue a full riding programme.